When an Olympic hopeful's dreams of becoming a Jamaican Olympic sprinter are dashed, he decides to shift his focus and finds a new way to get to the Olympics: by forming the first Jamaican bobsled team. 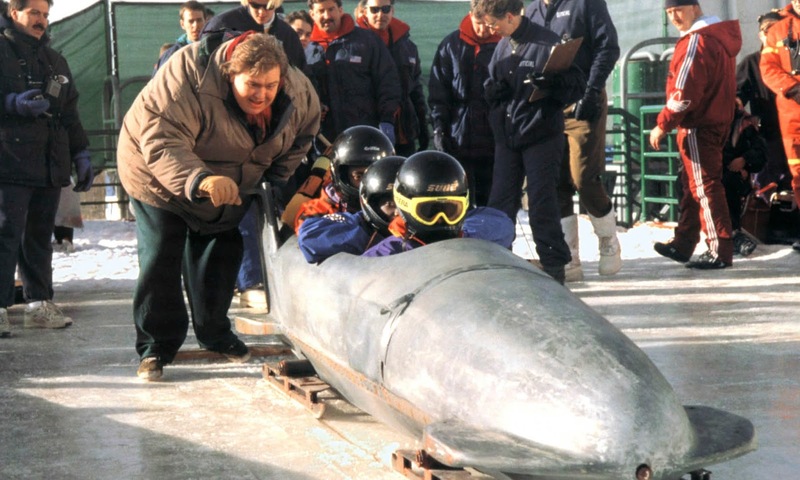 "Feel the rhythm, feel the rhyme, get on up, it's bobsled time!" "Cool Runnings" is directed by Jon Turteltaub, who has helmed films like "3 Ninjas," "Phenomenon," and "National Treasure." The script was penned by a multitude of people and is said to be loosely based on and inspired by true events. Everything from what caused the formation of the team to the names of the team members themselves is pure Disney fiction. The only things that are true about this story are A) that there is a country called Jamaica, and B) Jamaica does have a bobsled team. This story focuses on an Olympic hopeful named Derice Bannock (Leon), who can run the 100m dash in 9.9 seconds. His father was an Olympian, and Derice hopes to follow in his footsteps. At the Olympic trials during his qualifying race, however, another runner named Junior Bevel (Rawle D. Lewis) falls, tripping Derice and another sprinter named Yul Brenner (oddly enough) (Malik Yoba). This dashes all of their Olympic dreams in one fell swoop. Determined to get to the Olympics one way or another, Derice meets up with his father's old friend, two-time bobsledding gold medalist Irv Blitzer (John Candy), to create a Jamaican bobsled team comprised of the three fallen sprinters, as well as Derice's best friend and Jamaican push cart champion Sanka Coffie (Doug E. Doug). 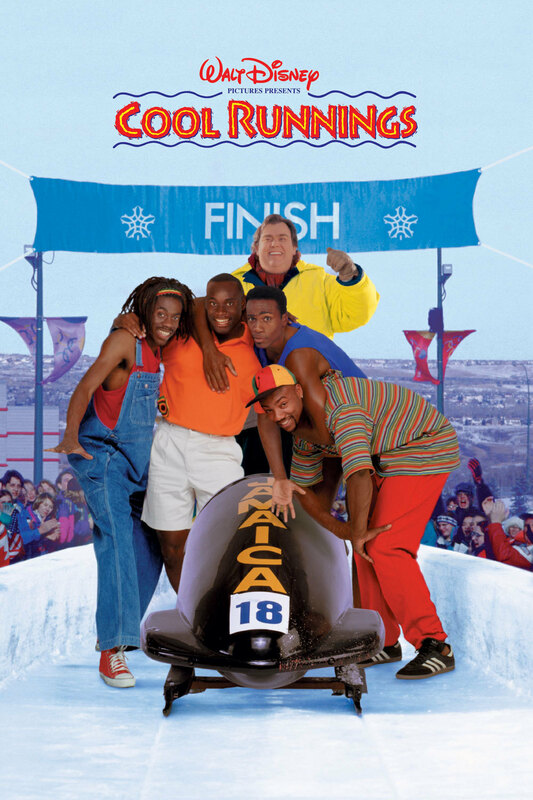 "Cool Runnings" was a popular film amongst 90's kids. BigJ grew up with it, and while my mom swears we owned the VHS tape while I was growing up, I couldn't for the life of me remember anything that happened in this movie. It makes sense considering it is a rather formulaic, run-of-the-mill, feel-good inspirational sports story. It follows in the footsteps of 1992's "The Mighty Ducks," where a ragtag group of unlikely people with little resources come together and defy the odds to best even the greatest in their sport. Everyone is against them and says they can't do it, but they are out to prove everyone wrong. Despite sticking to a tried and true formula, "Cool Runnings" is still a rather enjoyable movie. All the characters are likable, and we want to root for them individually as well as in their team. It's all about how Derice, Junior, and Yul try to redeem themselves from a single mistake and rise above the odds to still make it to the Olympics. It's about a coach who is a disgraced former athlete showing that he can do something right for a change and stop wallowing in the past. As for Sanka, the fourth and final member of the team, he's just there to be a comic relief character. This movie is a lot of fun as much of it plays out a fish-out-of-water scenario. Most of the humor is about how these men from a tropical island where it never snows must compete in a winter event as they experience it in all its powdery glory for the first time. 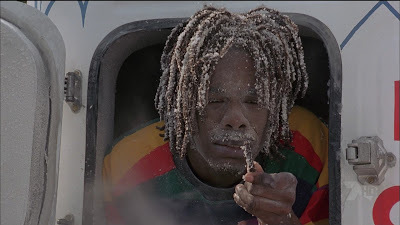 Once the team gets to Canada, the movie is about how a group of men from a tropical island who have never seen snow make jokes about how they handle this new-to-them situation. Finally, it's about how these people must be true to themselves regardless of whether they win or lose. This is a message we can definitely get behind, but again, it's one we've heard dozens of times in the past. 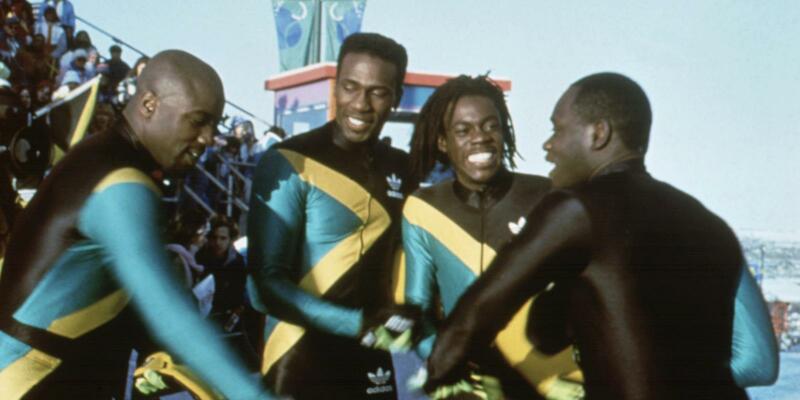 The climactic final moments help elevate "Cool Runnings" just a little bit more in the end. It may feel manipulative since it is thought to be manufactured-Disney-heartstring-tugging-hogwash, but it is the truest scene in the whole film. 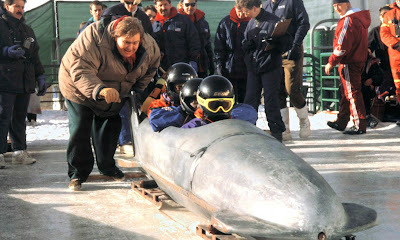 In the end, though "Cool Runnings" is a little basic, it still provides a fun, slightly sentimental viewing experience.